The Saga Continues, as an Emperor is seated and the threat from the Ca'cadasan Empire grows. Sean is back, saved from the grasp of the Ancient Enemy. And the Ancient Enemy is going full bore into the heart of all the human kingdoms. The Ca'cadasan Empire has it out for the humans. Their Emperor had ordered the human species exterminated. But the humans got away, at least some of them, and established themselves ten thousand light years away in the Persius Arm. 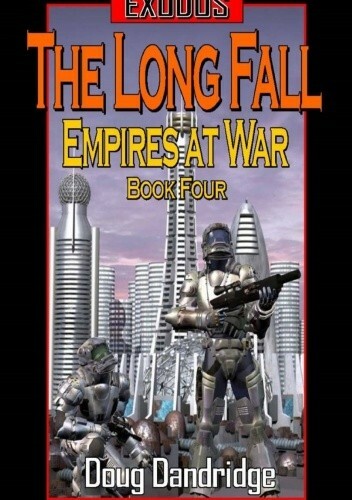 They were given a thousand years to establish themselves, but now the Ancient Enemy has found them, and they are still determined to wipe out over a trillion humans. Those humans are not so inferior in their tech as they were, only a couple of decades behind the Ca'cadasans. And they have the Donut, the enormous space station built around a black hole, a century in the construction. The Donut generates wormholes, the one major adantage of the humans over their enemies. There are other technologies on the horizon that the canny humans hope to gain advantage from. If they can keep their Fleet together long enough in the face of a mighty foe to deploy what they hope are war winning techs. And in the capital of the New Terran Empire plots are still alive. The plots of other governments, and of humans with their own agendas. Old enemies sharpen their knives, determined to catch the humans in disarray, while new allies come in on the human side. Will it be enough? Or will humanity be forced to flee once again. W końcu w serii zaczęło się coś dziać, najlepsza z dotychczas opublikowanych książek w cyklu. Przeczytałem jednym tchem.